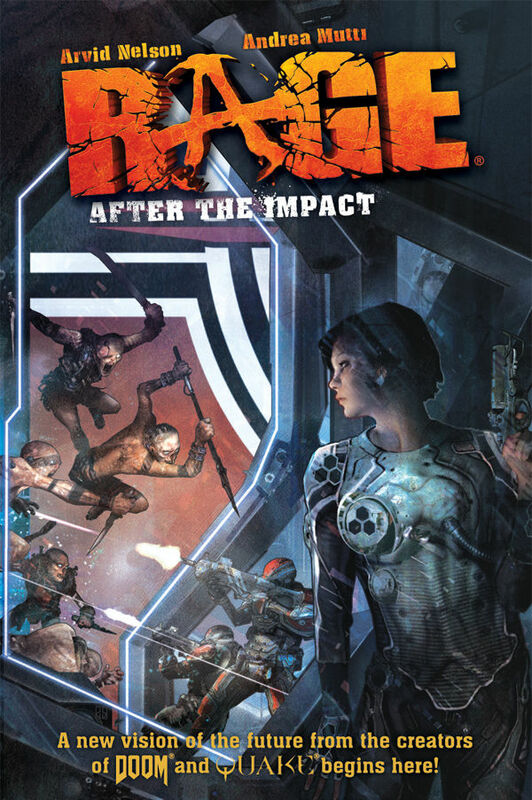 RAGE is here and already tearing up the gaming front, what we have in this review is the TPB launching this week on October 19th. After the Impact has a simple task, explain some of the history, unfortunately that story is full of death, chaos and corruption and makes anyone having a bad day think twice. Readers join in with The Authority in full swing and Doctors Kvasir and Cadence as the primary characters, Earth has just gone to hell and there’s little choice left for how to live. The art is solid, instead of a bleak and drab color style, the team went with pure hues to keep the spirit of the pages alive. A healthy departure from the drab muted style that can sometimes plague darker storylines and worlds. RAGE also features a variety of characters with some of the gangs and mutants teased for the first time as well in full glory. Overall the full refinement of each character page is a relief, the panels come off polished without excessive line strokes to clean up characters which is a nice departure. For those looking for some back story and a way to have the perfect RAGE collection, this is your comic. In fact, this is a great way to get into things before even starting the game as the story is able to personalize the experience.